UKIP have released a poster in the week prior to the EU referendum ballot on the issue of immigration. 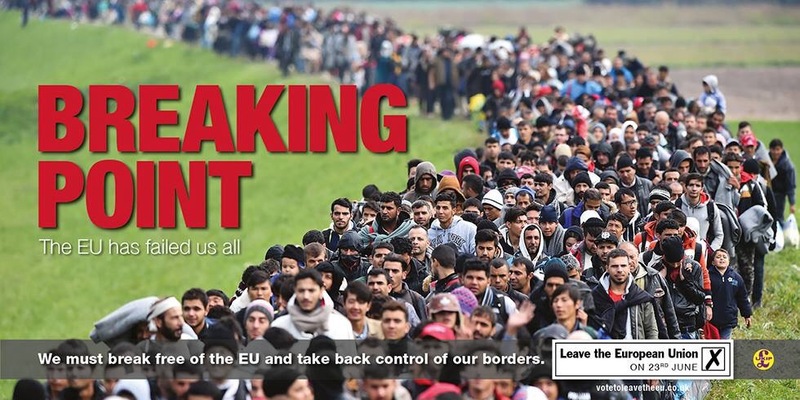 The headline reads “breaking point”, the ad also carries the body copy “the EU has failed us all” and a call to action which implores voters to vote to leave the EU in order to take back control of UK borders. The copy on the poster is similar to the sorts of messaging that we have been seeing from the official ‘out’ campaign Vote Leave. So why has one of the leaders of Vote Leave, Michael Gove MP, been on the airwaves over the weekend saying (amongst other pejorative comments) that he “shuddered” when he first saw the UKIP advert? The differences between the Vote Leave and UKIP attacks on immigration are subtle. Which is why the furore that emerged upon the Breaking Point poster release is so illuminating as to the differing perspectives held by groups like UKIP & Leave.EU and those supporting the more mainstream campaign Vote Leave. 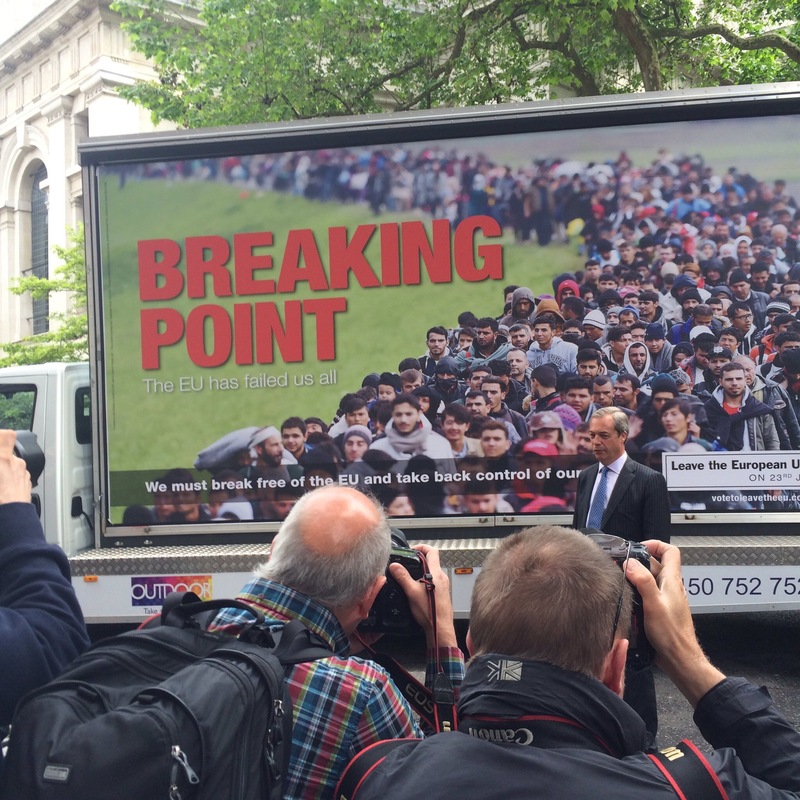 The UKIP poster is seeking to capitalise on the anxieties of those who are concerned about asylum seekers and illegal immigrants gaining access to Britain from war torn / unsafe / economically troubled countries outside the EU. The image chosen is deliberately symbolic of pictures voters will have seen accompanying humanitarian news stories, such as those about Syrian citizens fleeing their homeland. 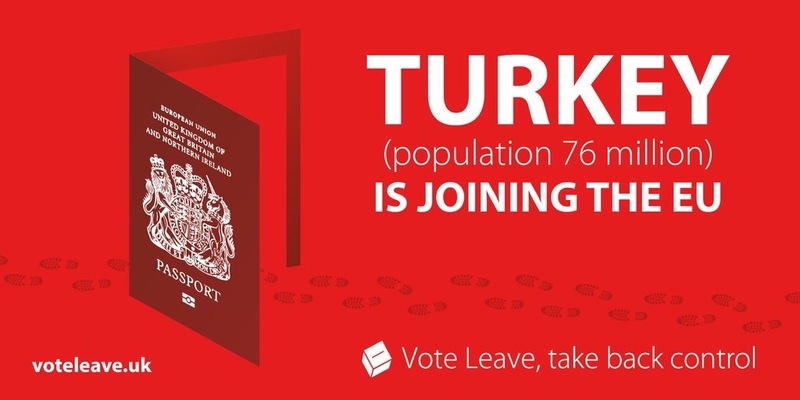 Vote Leave’s poster on the other hand, on the surface at least, takes exception to extending EU membership to Turkey (et al) on the basis that it would increase the number of people who could legally enter Britain. As I said, it’s a fairly subtle difference. But it’s clearly the line in the sand that politicians like Michael Gove and Boris Johsnon have drawn. I’m not sure voters, with plenty of other much more pressing things on their minds, will be as willing to decode the distinction. Both posters will appeal to those who have strong perspectives on immigration, but I suspect neither speaks to the crucial swing voter who has not experienced any significant personal problems with immigration, nor recognises any major economic benefits from Britain’s EU membership. If the result doesn’t go their way on Thursday I suspect Vote Leave will wish they had spent more time worrying about finding an approach to communicating their position on immigration in a way that could convince the undecideds that it’s a reasonable policy stance and less time bickering over the precise pitch of the dog whistle.